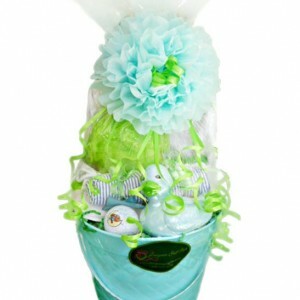 We designed this gift basket for baby golfer’s BPGA summer training camps. 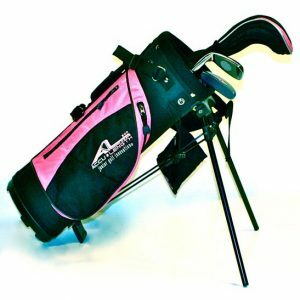 Your baby will be the hit at camp with all their professional training gear and equipment!! • Size 2 baby golf shoes in “blast from the past” saddle shoe style with fringed flap and snaps for cleats . . . perfect attire for your future Tiger Woods to hit the greens. 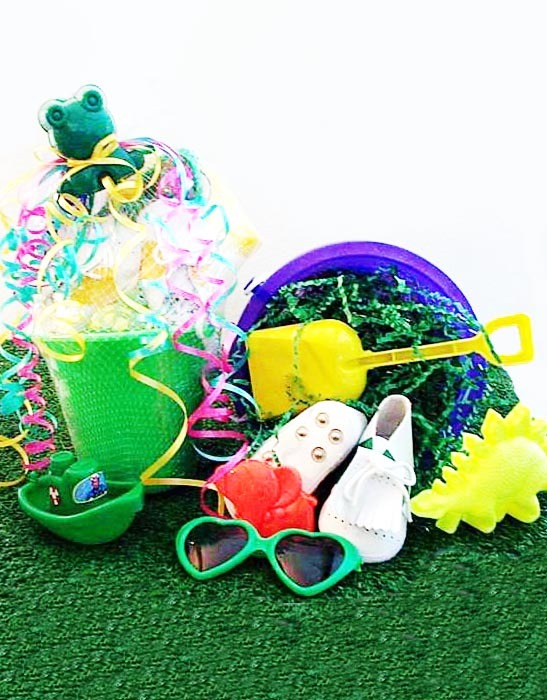 • Train your baby how to handle those sand traps with this sand pail complete with shovel and sand toys. 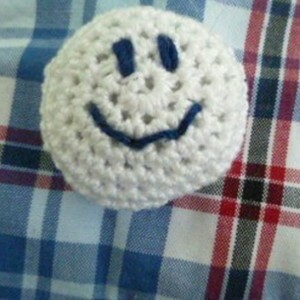 • A squishy toy for pesky water hole training. 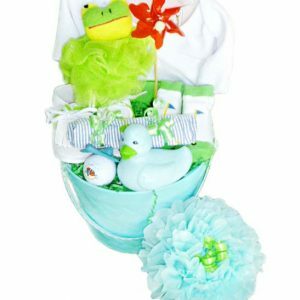 Our baby gift baskets are given priority since we realize that most baskets are purchased for specific events such as birthdays, new golfer arrivals, BPGA (Baby Professional Golf Association) tournaments and parties. 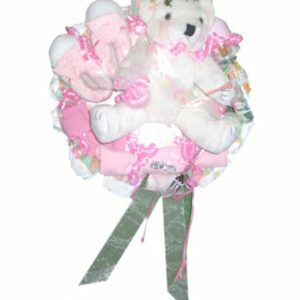 We try to ship our baby gift baskets out the next business day after the order is received. 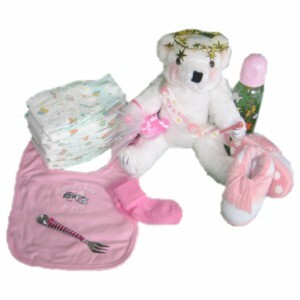 To ship your baby gift basket promptly, we may occasionally vary the items and toy colors depending on supplies on hand. If a substitution is made, the new item will be at or above the current value of the item described. However, we will never change a baby shoe color without your approval. 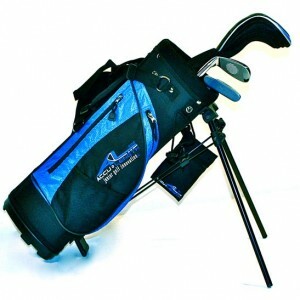 We can customize any of our golf gift baskets to fit your particular taste and price requirements. Just give us a call . 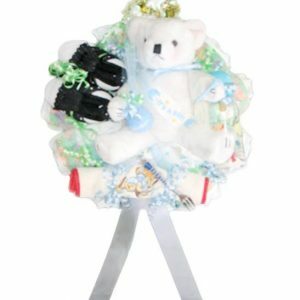 . . we’ll be happy to design a special baby golf gift basket just for you. Our toll free number is (866) 453-4438.